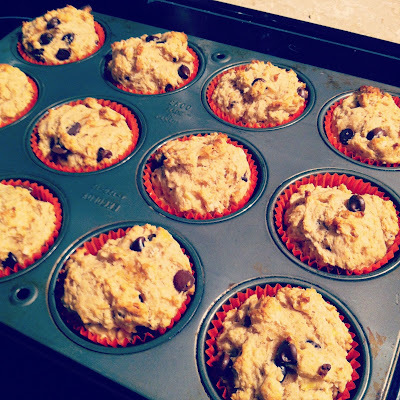 The other day I had two sad looking banana's so I decided to whip up my husband's favourite muffin, the Banana Chocolate Chip Muffins that are a stable at our house. After quickly scanning my fridge I realized that we were out of sour cream! 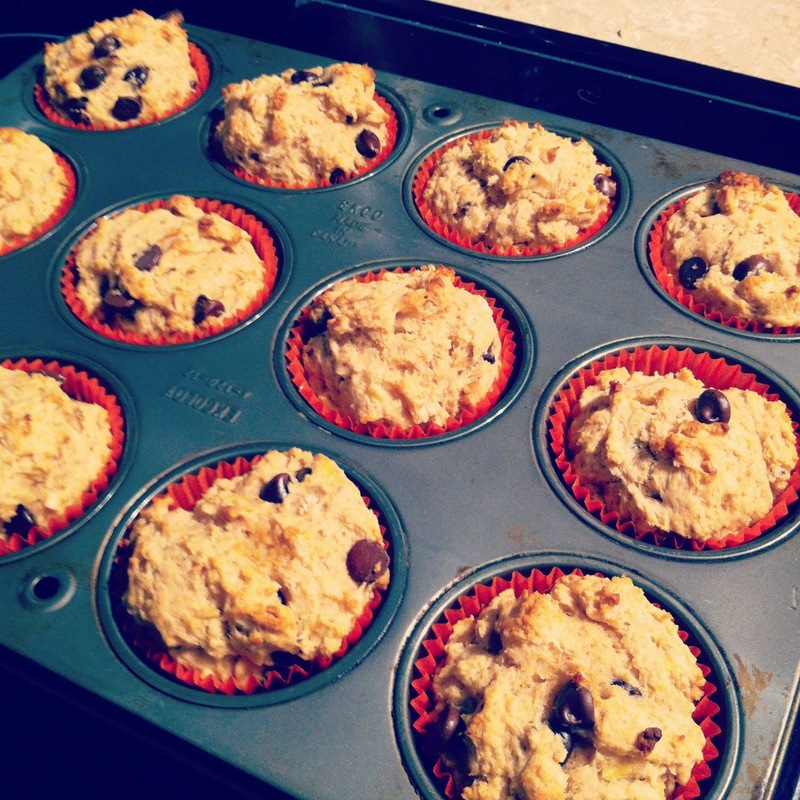 Since I couldn't make these specific muffins, I checked out my Mostly Muffins cookbook for another option. 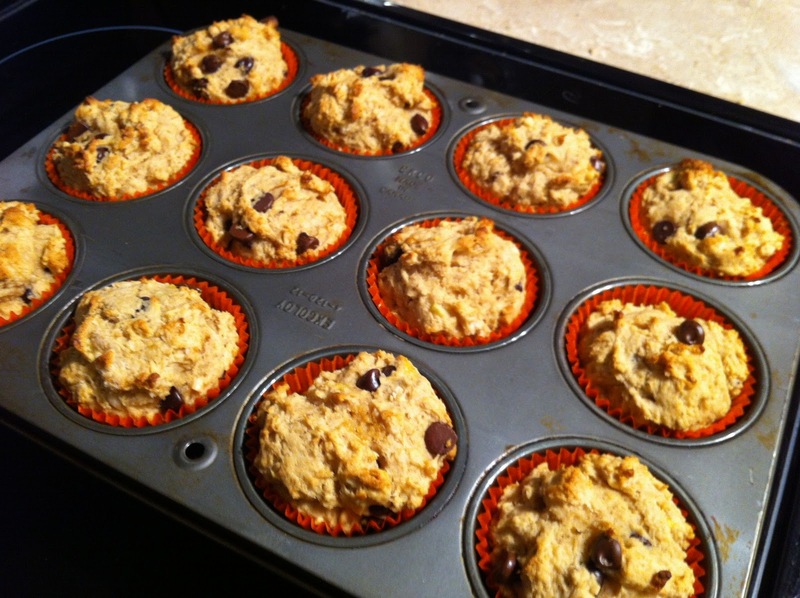 Poor John, as soon as I saw these Peanut Butter Banana muffins I knew they had to be made! They just sounded delicious and perfect to take for breakfast at work. Why poor John? For some reason he doesn't like peanut butter messing with his favourite muffins, but even he had to agree that these were good. I used chunky peanut butter, but smooth would work really well too. I made 16 muffins from this recipe, but it originally states that it makes 12 if you want big muffin tops on your muffins :). 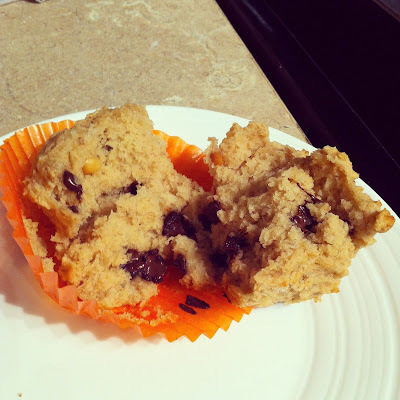 If you don't have cupcake liners, be sure to grease your muffin cups so that they don't stick to the pan.